October is National Seafood Month and a time to highlight the importance of fish and shellfish as part of a healthful diet. 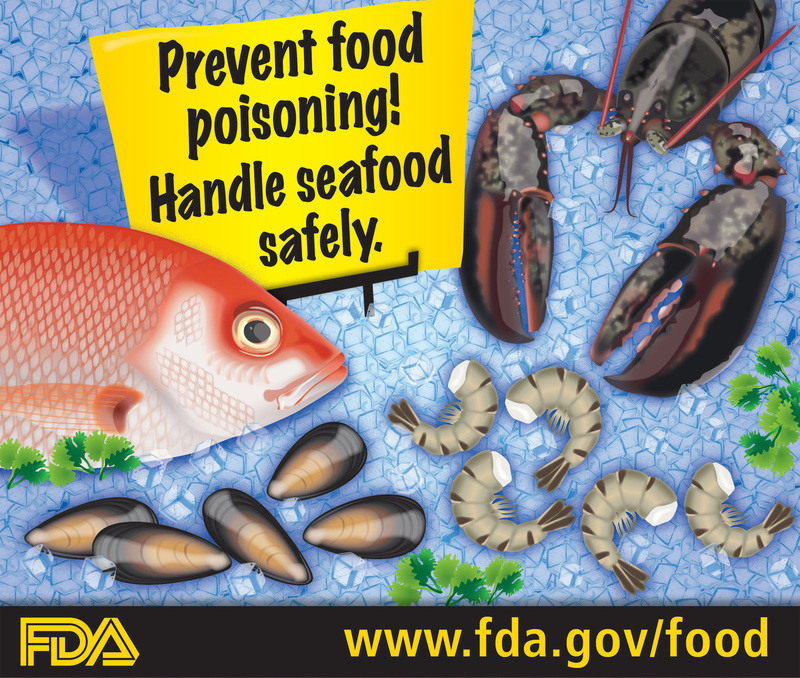 As with any food, safe handling of seafood is essential to reducing the risk of foodborne illness (often called food poisoning). 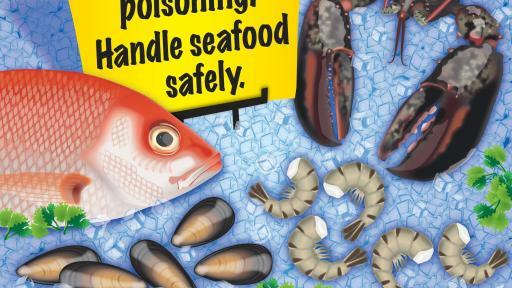 The U.S. Food and Drug Administration (FDA) reminds you to follow these basic safety tips for buying, storing, and preparing fish and shellfish. Whole fish and fillets should have firm, shiny flesh and bright red gills free from slime. Fish fillets should display no discoloration nor darkening or drying around the edges. Look for tags and labels on live shellfish (in the shell) and on containers or packages of shucked shellfish that include a certification number for the processor. This means that the shellfish were harvested and processed in accordance with FDA national shellfish safety controls. Throw away any clams, oysters, and mussels with cracked or broken shells. Live clams, oysters, and mussels will close up when the shell is tapped. If they don’t close, do not select them. Don’t buy frozen seafood if the package is open, torn, or crushed on the edges. Avoid packages with signs of frost or ice crystals, which may mean the fish has been stored for a long time or was thawed and refrozen. 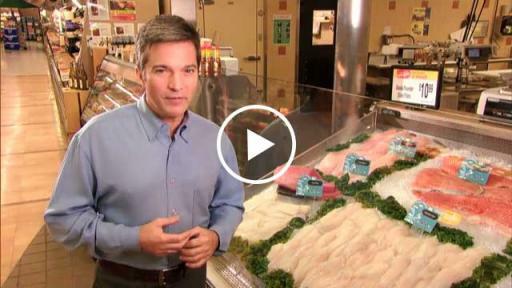 Put seafood on ice, in the refrigerator (if it will be used within two days), or in the freezer soon after buying it. If freezing, wrap it tightly in moisture-proof freezer paper or foil to protect it from air leaks. Most seafood should be cooked to an internal temperature of 145°F and checked in more than one spot to ensure doneness. If you don’t have a food thermometer, there are other ways to determine whether seafood is done.